When I heard that Michelle Bachelet  a doctor who devoted her life to helping the people of Chile, a daughter who lost her father to the violent regime of Augusto Pinochet and a leader who experienced personally the brutality of dictatorship but never lost hope in the people of her nation or the promise of democracy  was running for the presidency of Chile, I was enthralled. This was a woman who had overcome so much herself, rising to become Health Minister and then Defense Minister  the first woman in Latin America to ever hold such a post. And I remember thinking how wonderful it would be for a woman to break through yet another barrier  and to help her country break through barriers too. When we met in January 2005 during her campaign, she spoke with deep passion and even deeper expertise on the challenges facing her nation, from modernizing the military to modernizing the health-care system. I had been very eager to finally speak with her in person. 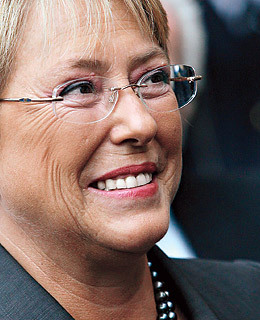 Being a woman in politics can be tough business, and Bachelet made it look effortless. In our meeting, I learned why: because Bachelet, 56, speaks and leads from her heart. She won, of course. In Chile, Argentina, Liberia, Germany and around the world, women are not only blazing new trails but bringing others along as well. 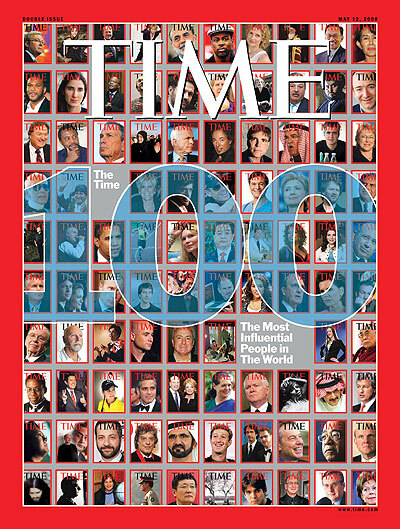 In every country, on every continent  in places where women are soaring to new heights, and in places where too many women remain second-class citizens  women and men can draw inspiration from leaders like Bachelet, leaders with grace and courage, leaders who never give up and never give in. Count me among the inspired.